Before I get to face the harsh Venezuelan reality again, a fraudulent OAS, Chavez giving Bolivar's sword to Qaddafi, hunger strikes of students and the ridicule of the general prosecutor serving an Interpol arrest order for Carlos Andres Perez, almost death after severe strokes, here is an easy one for you. Although technically I was not residing at the place of that picture, the friend I visited this week end works there. Venezuela is very mixed, as we have often mentioned, but: how mixed is it precisely? What differences are there exactly across social groups? Population geneticists help to investigate how homo sapiens expanded from Africa to settle the whole world and how different groups intermingled. One of the main sources they have are non-recombining pieces of DNA. These are genetic markers we all get from one side of our ancestors only. Most of the DNA information in our cells are a "random" mixture of both parents' genes: it is not possible to know but some parts get transmitted almost unchanged from father to sons across many generations or from mother to daughters and sons. They are patterns that are recognizable after thousands of years. Only from time to time there are minor mutations and those mutations help us see how different branches of mankind appeared. The markers on the males' side are patterns of DNA-bases found in the Y chromosomes. I have the same sequences as my dad but for very minor variations. The markers on the female sie are DNA bases found in our mitochondria, little structures we all have in all our cells and which we get exclusively from our mothers. 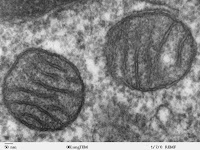 We all have the spitting image of our mother's mitochondria. As populations in previous times stayed put in some places and did not mingle randomly with others, geneticists have been able to find haplogroups that are shared by all common ancestors of an individual many years ago. Things get much more complicated than that, but basically, with those haplogroups we can track down a whole line, either on the paternal side or on the maternal side of each man and on the maternal side of every woman on Earth. Sub-Saharan Africans, Europeans, Asians and native Americans have particular haplogroups. If you see a "sub-Saharan" male haplogroup in an European, this means that the father of the father of the father...of that European (a male as only males have Y chromosomes, unless we are talking about very unusual cases) came from sub-Saharan Africa in recent history. The same goes on the female side. 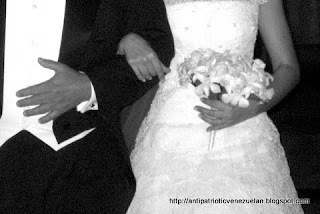 I am Venezuelan and as I wrote in previous posts, I have the usual admixture. My paternal haplogroup appeared in the Fertile crescent around 18000 years ago and it is present in lots of Lebanese, Iraqis, Syrians, Turks, Armenians, Greeks, Southern Italians, Jews and to a lesser extent Spaniards. I got it from there. My mother's haplogroup is sub-Saharan and most likely a female ancestor of mine was a slave brought to Venezuela between 1528 and 1810 (it could have come indirectly through Spain as 1-3% of Spaniards also have sub-Saharan female haplogroups, but that is less likely). That lady was from West Africa. That is only part of my background. As my family has been in Venezuela for a long time, it is almost certain there is native American blood there as well and from other parts of Europe (two of them I know) and Africa. One has 2 parents, 4 grandparents, 8 great-grandparents and 2 times n ancestors n generations ago. Now back to the study carried out by Rodríguez-Larrade. The blood samples were from 50 and 60 individuals who were in a public and a private maternity respectively. A lot of the people in public hospitals are people from families who came from the countryside to the capital in the last 50 years. About 40% of the grandparents of the people in the private clinic were born in Europe. As the study says, "Many of these migrants, mostly Spaniards, Italians, and Portuguese, helped to develop economic activities related to commerce and construction, activities that rapidly introduced them to the high socioeconomic level. On the other hand, most of those individuals at the low socioeconomic level are a consequence of rural-urban internal migration; they seem to be more representative of the traditional Venezuelan population. This reveals that the identification of the grandparents' geographic origin is an important methodological aspect to take into account in genetic studies related to the reconstruction of historical events." Still, in both cases we see the European component on the male side is the dominant by far. Male Indians were killed or outbred in previous centuries, whereas the conqueror or richer settler reproduced more, as all around the world. Let's hope in the future there won't be such differences and our public hospitals become as good as those in Northern Europe. Let's hope any background differences between public and private clinics disappear. 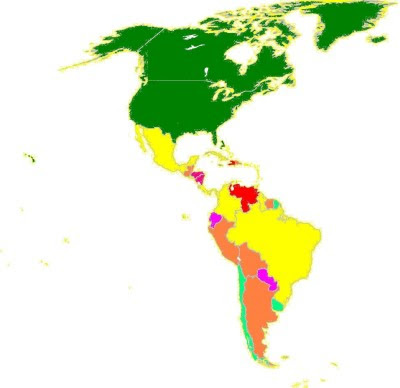 In any case, we sum up saying Venezuelans are, genetically speaking, mostly European on the paternal side and mostly native American on the maternal side, with a sub-Saharan component on both sides (as my maternal haplogroup shows) but any mixture is part of Venezuela and most Venezuelans have a bit of recent background from every continent. There are obvious ethnic differences, although smaller than elsewhere: the poor of the present tend to be descendants of the poor of yore, who tended to be more descendants of Indians and slaves, although it is a matter of some degrees. There has been a lot of mobility in Venezuela for many decades now, probably more than in many other places, although not as we would want. The main reason is the little support given to the quality of education of the poorest, something that hasn't changed. Genetics can take us further and teach us more about the history of Venezuela. We will write about this in future posts. But it does not take genetics for us to know we need better education for the poor. This will help us reduce all kinds of social differences and get us on the road to sustainable development. Today, I went to the OAS building in Caracas. 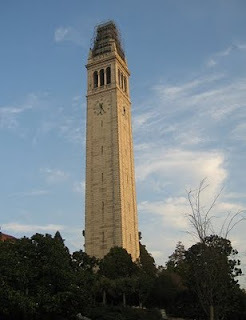 For a week now, about 50 students are making a hunger strike. Their demand is quite clear: the Inter American court of Human Rights must send a commission to Venezuela to make an independent research on the situation of the political prisoners in Venezuela. Apparently, a secretary of the court is going to speak with a student representative group on the phone during this afternoon. We’ll see what happens. 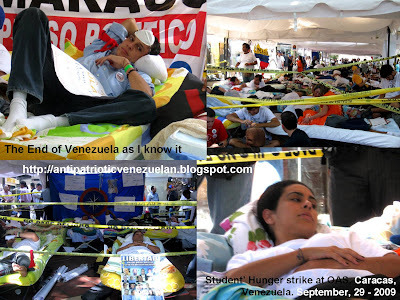 The student’ hunger strike has spread to other parts of the country like Valencia, Maracay and Puerto La Cruz. Yesterday, the protesters reached their first achievement: Julio Rivas, a student who was detained and imprisoned under charges like “instigation to commit a crime” and “fatherland betrayal” was released – conditionally. Protesters say that this, although it is good news, it’s far from being enough because many political prisoners are still behind bars and Rivas still has to present to the courts facing criminal charges just for attending to a protest against the government. While I was walking throughout the Orinoco avenue, meeting some acquaintances and looking at the students whom haven’t eat for days and are just laying down in their beds waiting; I thought that things are going just worse in Venezuela, much more worse than when this blog started. Protests used to consists on demonstrations and other activities alike, and even considering the violent clashes and the repression, I think that it is hard to find a more extreme way of protesting than a hunger strike. And I have seen two major hunger strikes this year already. This means that unless we stop eating for days with all the risks that this carries for our health, no one is going to hear us. This also means that demands are now so extreme and desperate that they require desperate ways of protesting against it. We are no longer protesting because the government closed a TV Channel, we are protesting because many people just like us are now facing trials, are forbidden to leave the country and in worse cases, are imprisoned and sharing cells with common delinquency. One thing is for certain: situations like this one will not be featured on the next Stone’ movie. A few days ago the West revealed Iran had secretly built a nuclear facility in Qom. Iran rushed to admit it had but added it has done nothing illegal. I won't go into the discussion on that but BBC says Iran goes now weakened to negotiations. At the same time, Venezuelan Mining Minister Rodolfo Sanz declared Iran was helping Venezuela prospect for uranium. Blogger Quico has written on his fears about that here and here. As soon as Sanz said Iran was helping Venezuela, another Venezuelan minister, Jesse Chacon (brother of billionaire revolutionary Arne Chacon), stated it was not Iran, but Russia (Iran, Russia: three letters in common, would you not mix them up as well?). What is going on? Is it chaos? Are they trying to confuse people? Both? Well, I was browsing a wee bit through Russian sites and I found this. It does not talk about Iran at all. It is a post from August of this year referring to Venezuelan-Russian negotiations on nuclear power research. Bank "Национальный кредит" (National credit)» is working on the restructuring of the assets and liabilities of a Venezuelan-Russian agreement. The ones to sign the agreement were Russian Director General of the State Nuclear Energy Corporation (Rosatom), Sergei Kiriyenko, and the Minister of Energy and Petroleum Rafael Ramirez. The agreement is about uranium and thorium and it was based on the agreement on nuclear energy cooperation signed by Medvedev and Chavez in November 2008 (when Medvedev was in Venezuela). The temporary administrator of the National Credit bank said "As far as the bank's obligations to customers, we also offer a choice of two options: a refund in installments, or the extension of deposit contracts". A news agency, BaltInfo, reports about how the Venezuelan (Hugo's) National Assembly voted on the agreement for confidentiality on Russian technology, an agreement that would be valid for some 5 years and would basically enable them to hide away the details about the whole agreement, as far as I see. El Universal had reported on this earlier on. Now, in the Russian article I read again Venezuela got 92 T-72 tanks plus "some rocket launcher systems Smerch". We don't know how many. Now this says 38+24 such systems were delivered to India for 750 million dollars. My strong hunch is there is a huge overprice and somebody is getting richer. In any case: transparency is not something you will ever associate with Venezuela's government. I chose as post picture not one of uranium or thorium but one showing the proportion of the urban population in slums per country. Venezuela, the land of the Blackberry, is at the level of Congo while Chile is eliminating its last slums right now. Real vampires are not European. They are American and most are Latin American. European bats don't feed on blood. There are three species of vampire bats that feed on blood only. All three can be seen in Venezuela. The one on the picture is the common vampire, a.k.a. Desmodus Rotundus. I have to say it is one of the most repulsive mammals I have seen. In Venezuela you can sometimes see them at sunset (night sets in very fast at 1 to 10° degrees North of the Equator). You can spot them more often in the countryside, but you can find them in cities as well where there is not much light. Once, as a child, I saw one from a distance of one inch or two: I was climbing on my brother's shoulder to put a TV cable on a high window sill and there it was, in front of me, with its ugly snout and sharp teeth. The bat was absolutely dead, but the shout I gave was heard very far. Vampires feed on all kinds of animals, from birds to horses...and if you are in the countryside and don't pay attention, they could feed on you (although I never saw one attacking humans but they do) . These nasty wee mammals usually bite and let the blood flow. Then they take the blood with their tongue. Their saliva has an anticoagulant substance to keep the wound bleeding. The Desmodus Rotundus in particular is very dexterous and it can walk and jump by using its wings, sort of to approach in a more quiet way and get to the right spot. If it feeds on a tethered animal one day, it will try to go back to the same animal day after day for more blood as the initial wound is easy to open up again. Yeah, it is creepy. People with horses or cows have to pay attention to that. One needs to be careful because they can carry rabies. As I said, I never saw one trying to approach me (and they would abhor light), but as I was often going to the countryside, I was told to be careful when some were flying around. Hier findet man einen Link zum Auslandsjournal der ZDF. Rechts oben auf "Alltag Mord" klicken. Es handelt sich um ein kurzes Video über die Gewalt in der gefährlichsten Hauptstadt der Welt. Einige Kommentare von mir: die Mordrate in Venezuela hat sich in den letzten 10 Jahren verdreifacht und die Regierung will das nicht zugeben. Die zuständigen Minister und der Präsident weigern sich, selbst wenn Beweise vorgelegt werden, über die Zahlen zu diskutieren oder mit der Opposition live zu debatieren. Sie sagen höchstens, dass Kriminalität "ein Problem des Kapitalismus ist", dass sie daran arbeiten, es zu bekämpfen, dass es dieses oder jenes Wochendende weniger Morde als 52 Wochen davor gab und dass es von der Opposition unverschämt ist, das Thema "auszunutzen". Seit 2002 sendet die venezolanische Regierung keine Statistiken mehr über Morde an die United Nations Office on Drugs and Crime: die Zunahme der nicht leicht vertuschbaren Kriminalität war einfach zu dramatisch. Mein Dank an Gus für den ZDF-Link. PS. Hier mehr Details auf Englisch über das 23-de-Enero-Viertel und die Stadtkriege dort. The new of the week has been the discovery of a secret nuclear facility that could give Iran the bomb by 2011. The question is of course what degree of complicity Venezuela, or rather Chavez folly, have in helping Iran into this dangerous and shameless actions. I have the feeling that we are going to pay for that. PS: And an answer might already be there, as a Venezuelan official tries to deflect attention to the real issue. Not to mention the rather tame speech of Thuggo at the UN. We have always known Venezuela has a great ethnic variety. The admixture is not just at the level of groups ("there are lots of people from all over the world", but at the level of most families, at the level of all of us: most Venezuelans have a very varied ethnic background. I have written a bit about this here. Alexander von Humboldt wrote about the proportion of different ethnic groups in Venezuela during his times there. He estimated that at the start of the XIX century some 800000 people were living in Venezuela. Some 12000 were "European born whites", 200000 were American whites (people like Miranda or Bolívar), 406000 were "mixed", 62000 were black slaves and 120000 were "pure Indians". The German Wikipedia as well as many other European or US American reference books now say things like this: "67 % of Venezuelans are Mestizos, 21% are of European, 10% of African and 2% of Indian origin". Humboldt was more or less on the right track back then, but modern encyclopaedias from the North are definitely not: the great majority of Venezuelans have European, African and Indian origins and there is little use in putting people in one box only. In recent years geneticists have carried out very interesting research work on the Venezuelan population. Results have confirmed what most Venezuelans thought. Still, the new studies give us more details about how we, Venezuelans, came to be. I will comment about those studies here and in later posts. A particular study carried out by Rodríguez-Larrade and others in 2007 on the population of Caracas (abstract here) shows interesting patterns. Scientists performed tests with blood samples from patients in private or public hospitals of the capital. They analysed autosomal markers (based on genetic information that comes from both father and mother), markers transmitted through the Y chromosome only (and thus only inherited from fathers to sons) and markers transmitted through the mitochondria (given from mothers to all their children). The tests on autosomal markers for people in private hospitals show this: 75% of the autosomal markers were of European origin, 17 were of Indian origin and 8 of sub-Saharan provenance. People in public hospitals had the following pattern: 32.8% were European markers, 39.7% were native American and 27.5% sub-Saharan. Sadly but not surprisingly, even in Venezuela people with a darker skin tend to be poorer and go to public and very overcrowded hospitals with little resources. People with a recent European background (parents are European) tend to be better off and they go to private institutions. The situation is not as bad in in many other countries, even if racism is still very present in Venezuela. Still, it is a big problem. This issue is mostly based on the fact people with poor education earn less and find it more difficult to provide for a better environment. The State has never done its homework as it should. In spite of this division, a big admixture is present in both private and public hospitals. Now, autosomal studies are not the whole story. They just give us some glimpse about the genetic contributions of people in general. It gets more interesting. Genetics can tell us a little bit more than what we knew from recorded history. It can help us broaden our picture of how we came to be Venezuelan. I will write about that in a future post. Ps. Multiply the column value by 100 to get the percentage. The apologists of Hugo Chávez often shout "No Volverán" when they want to make clear they intend to stay in power forever. They often say they mean the time of the dishonest thieves stealing from the poor is over. In reality, that time is more present than ever. The very bad situation we had before has only become worse. 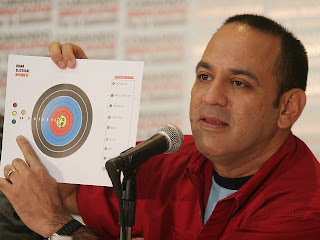 Now Venezuela's plunderers are the very rich Boliburguesia, people like Arne Chacón, minister Jesse Chacón, the Chávez clan and Vicente Rangel, working together with those from the Ancien Regime who play along. Here you have a chart taken from the World Bank figures. You can see how different aspects of governance have worsened dramatically in Venezuela in the last decade. 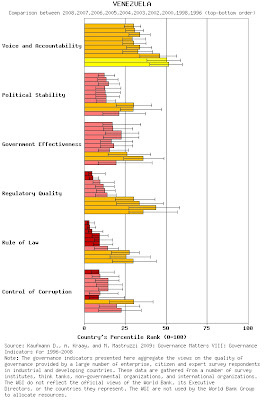 Voice and accountability, political stability, government effectiveness, regulatory quality and control of corruption are compared between 2008, 2007, 2006, 2005, 2004, 2003, 2002, 2000, 1998 and 1996. Again, the levels are presented as percentiles. Let's remember this regime is in power since 1999 and it has benefited from oil prices that are over 300% higher than in the previous decade. The red-shirted barons transformed Venezuela from a "standard corrupt Latin American kleptocracy" into a kleptocracy that is much worse than most in very poor Africa. PS: A series of posts on non-political issues will follow next. A brief scan of the news this morning reveals that there is a summit between South America and Africa to be held in Margarita. Qaddafi is one of the guest stars among miscellaneous authoritarian trash. Need we go further in our comment? El color de la piel del presidente Obama no será obstáculo para que éste condene las conclusiones antiimperialistas, a las que seguramente arribará la II Cumbre África Sur América. The skin color of president Obama will not be an obstacle for him to condemn the anti imperialistic conclusions to which surely the II South America Africa summit will reach. And Seattle is over. 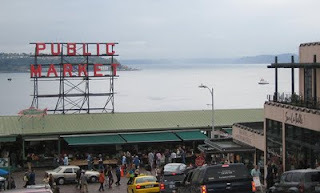 A great city to visit but not necessarily a great city to live. For something totally different, you may read in Romanian an interview I gave through Internet while in Seattle. The wonders of globalization, ain't it? A big thanks to Adrian Novac at Hotnews.ro for the interview and the translation. Weil says it all with this cartoon about the Juanes concert in Cuba. Elsewhere we learn that the 450 million dollars satellite the Chinese built for Chavez has at best a 2 year life span left, and this only if its use is limited to VTV cadenas of Chavez. What a fiasco!!!! Daniel, stop reading the news! Get back to you vacation! Note: read Maria Anastasia O´Grady denouncing how it is that Clinton and Obama are violating the rule of law. Food for thought. A casual look to Venezuelan news during my Seattle morning coffee break manages to leave me speechless, but not keyboardless. It turns out that Chavez yesterday admitted that there are problems with the Venezuelan health system, that 2000, two thousands, barrio adentro joints were not working.... Besides the fact that if Chavez had been reading the newspapers he would have known long ago that a boatload of barrio adentro modules were closed, one can only wonder about that 2000 number. After all if we take it at 10 a city that would mean that 200 cities in Venezuela, 200!, would be out in trouble. Are they 200 cities in Venezuela? Or another way to rephrase the question, how many small communities in the boondocks have been left without any medical attention, as deficient as that one might have been in the first place? But it gets worse. Chavez admitted that he was called to order by Fidel Castro who apparently learned before him about the deficient state of the mision barrio adentro. Chavez had no problem adding that it was Fidel who sent the inspection team. One does not know whether to cry or to laugh at such inanity and lack of self respect, amen of respecting Venezuela. But I know why Chavez is doing such a ridiculous show, where in addition he promised zillions of new doctors form Cuba: there was a terrible accident in Clarines where a chlorine gas truck hit another truck with scores of people injured or killed, in a World War I like trench cataclysm. This of course exposed the totally inadequate reply to emergency capacity of the state, as we learned that the renovation of the Clarines hospital was 10 years behind schedule. Add to this the recent weapon purchase and you will understand the desperate need of Chavez to make a ridiculous show to distract the opinion away from his absolute heath care failure, supposedly the bright success of the bolibanana revolution in the official propaganda. Once we start recovering from the immorality of Chavez foreign adventures it is time to start looking about what is going on really. Long time readers have known that I never discuss a Venezuelan foreign policy per se. What takes place as a foreign policy is an instrument designed to serve Chavez interests and ambitions exclusively. There is absolutely no consensus about foreign policy in Venezuela, not even within chavismo. 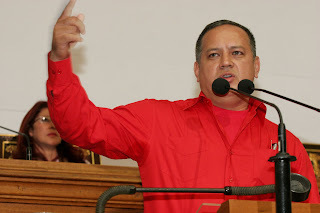 The reasons are very simple: the opposition does not count at all and once the links with Cuba are cemented and the ideology of a big Latin America is spouted for show, the rank and file chavismo is satisfied with the foreign outlook of the country. It should not because Chavez interests seem to go much further than that. In fact I am actually wondering if Cuba is directing Venezuelan foreign policy as much as I thought it did. If it is the case, then castro-cubans are sicker in their minds than what I thought. The latest tour of Chavez, if totally obscene, still has a remarkable coherence. Al the heads of state visited are anti West, almost anti US. In fact a case can be made for Spain's Zapatero to be somewhat pro West but definitively a tad anti US. 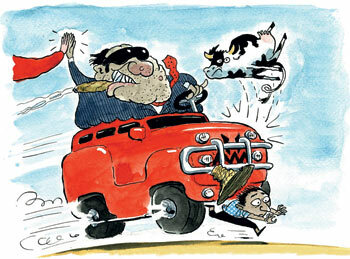 Though the Zapatero visit was probably a pay back call from Chavez. Still, the coincidence is troubling. Lybia, Syria and Iran own absolutely anti US and anti Western values. In Lybia Chavez met Sudan and Zimbabwe, which can certainly be classified as the above. Turkmenistan, Belarus and Russia are rather anti West and rather anti US but this is probably due at least in part to their difficulty in fitting in, in developing any democratic value within their society. Let's say that they are anti West and anti US by default or incompetence than by sheer ideology as opposed to the above mentioned countries. Algeria is anti West alone, and certainly not militantly anti US since this one somewhat supported the Algerian side during the colonial wars of the late 50ies. But then again fundamentalism has reared its head in Algeria. Except of the Spanish fluke, there is a noticeable coherence in these visits: Chavez was touring countries that reject Western values, of democracy in particular, and countries that are militantly anti US or that could become so very easily. The multipolar world that Chavez pretends to be seeking is not so: it is a revived ersatz cold war world of an unholy alliance of countries only united in their resentment against the West. There is much more to it than just sticking his tongue out at the US in this journey: there is a policy to create a strong anti US block, profiting from the economic crisis of the US and its myriad problems in Iraq and Afghanistan and Pakistan and even China, North Korea and what not. If to this you add the recent exposes about the financial collusion between Venezuela and Iran, the Venezuelan offer to sell Iran gasoline so making any further UN sanctions a joke should tell you that Chavez is not at all a prince of peace as his recent anti Colombia propaganda is trying to present him. Chavez is more than preparing for war: he is looking for conflict. We can add an additional element here. While Chavez was away Brazil made a major arms deal with France, a deal which if it is carried through will give Brazil access to advanced technology to build its own fleet of warplanes. Hence the reply of Chavez announcing billions of weapons purchase in Russia, including missiles that cannot go beyond 300 kilometers, that is, not even to Puerto Rico. Who are these missiles going to be pointed at? In which way do they serve any defensive purpose when Chavez has been promoting something like a guerrilla war system for Venezuela for all these recent years: La Guerra Asimetrica, the asymmetric war. Chavez is playing a dangerous game here. The US can knock out Venezuela very easily whenever it wants to. A few bomber flights and a few missiles can shut down the country effectively while Colombia intervenes. Let's underline first that the US has absolutely no need to do anything of the sort at the time being since it gets the only thing that interests it: Venezuelan oil. The point here is that it is not with the recent weapons purchase that Chavez is goign to withhold any US invasion. And Chavez must know that very well or he would have dropped his oil export to the US much faster than what he has done. The weapons are not against the US. The weapons bought to Russia are mostly garbage. Whatever Brazil and Colombia are getting is of much better quality and will likely perform much better than the Venezuelan army, dispirited and dedicated to political activity and repression rather than the country defense. Brazil is the rising power and it is not going to let Chavez take this role away of them. They got new oil reserves, they will be oil interdependent for the most crucial needs while having access to ethanol. They are a major food producer AND exporter and as such are already in much better shape to become a world power than anyone else, including China. But worse for Chavez long term prospects is that his alliance with Iran (and Syria and Lybia) is not goign to be accepted either by the US, Europe or Israel. And it is going to be useless becasue these countries are not going to come to the rescue of Venezuela if it ever were needed. If Obama is a potential wuss, there is no telling that he can turn into a hawk suddenly. It has happened in US history. Furthermore, for Israel Iran nuclear program is a matter of life and death and if Europe and the US fail to ensure its safety, Israel will act alone and probably most of the Middle East will stay put as they all know that once Israel is eliminated they will become Iran-Syria next objective. Whatever Venezuela does during such conflict would be irrelevant as a few bombs dropped in Maracaibo and Puerto La Cruz will shut the country while none of Chavez allies can do a thing about it. In other words the coalition that Chavez is trying to put up for some unforgivable reason could backfire really bad for Venezuela. Any money we lend to these countries is almost a sure loss. Any military problem they get involved in could result in bombs over Caracas while any military involvement we coudl get involved with Colombia is very unlikely to see Russia or even Brazil intervene. In fact a post Lula administration could even find itself on the Colombian side. But what makes the whole thing even worse, and downright pathetic is that with this recent trip Chavez might have reached the peak of his strategy without realizing it. As of now, exposed as a terrorist supporter of his own doing, he is more likely to be taken seriously and will start seeing that Europe and the US are not going to put up with him anymore. France already criticized the latest weapons purchase by Chavez while the Morgenthau report in the US is only the first salvo in a series of financial revelations that are sure to come, in addition to exposing drug trafficking and other crimes. All this effort and all of this expenses from Chavez and we are probably going to lose it all without being able to inflict any significant penalty. The costs for Venezuela of Chavez folly are going to be paid for a generation or two while the worst that awaits him is a few years in jail. I had started this post before my trip but only got around to finish it as rains keeps me trapped inside. PS: the economist seems to agree with me. 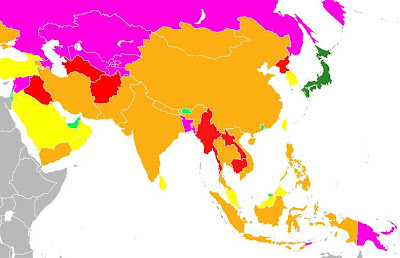 I just prepared a couple of maps showing levels of corruption control based on the 2008 data provided by the World Bank. You can get all the data by selecting countries and parameters here. The colours represent different percentile groups: dark green is the 90-100% best. Light green is 75% >. Then we have orange, yellow, pink and red. Red is really bad. Mind your wallet at any time. In the Americas the by far most corrupt countries are Haiti and Venezuela. Venezuela always had big corruption problems, but now, as we can see from the last post and 90% of the others, things have got to new (lower) levels. The least corrupt countries in the Americas are Canada and the USA. Venezuela has more in common with the most corrupt countries in Africa than anything else. There are quite some countries in the poorest continent on Earth with much better accountability standards than in Venezuela. In Europe you can see the worst countries are Russia and Belarus. I was surprised Moldova did not make it to the worst here, but perhaps it does in other parameters like rule of law. There are also important differences between countries in the same rank. There is a difference between the US, Belgium or France and, say, Norway or Finland, all in dark green here. Sleaze in Brazil or Colombia is much higher than in Costa Rica and you have more issues in Bulgaria or Romania than in the Czech Republic. There are more problems with corruption control in some regions within a nation (yes, clichés are sometimes based on reality, as we can see in Italy, Spain and Belgium). Ps. I know, I did not colour the Asian part of Russia or Turkey or Greenland or Armenia-Georgia-Azerbaijan. Perhaps I do it later on. You can find a very good post about the governmental mafia at Caracas Gringo. Caracas Gringo has very good sources. You will read there how the big bosses of the chavismo movement have become multimillionaires, even billionaires in the last few years. And these are the guys who are destroying the chances of Venezuela's poor to get out of poverty on a sustainable basis. I don't know what proofs the Chomskys and Sarah Wagenknechts of this world need to see the farce of the "revolution". So I am on vacation but my mail box brings interesting stuff. I can at least pass it along. Well informed, in fact rather very well informed Caracas Gringo when it comes to money matters, has a new post where he describes in scary details how the Chacon, Cabellos and other noted mafiosi of the bolivarian regime have become rich and control the state apparatus to become even richer. After reading "the rise of bolivarian organized crime" you will need to draw your own unavoidable conclusions. As a reminder I will bring back the notion of a power triumvirate between Chavez, Chacon and Cabello. So that you know. For the first time in years I am taking a few days off without even some work related activity on the side. In other words, I left Venezuela for a couple of weeks to visit friends and relax. Blog writing will be erratic but existent, though if you want regular coverage of Venezuelan events you might be advised to check Miguel's blog first because I intend to read as little as possible about Venezuela. If some of you wonder where I went you will need to wait for the feature "where is Waldoniel" coming as soon as I have made interesting pictures. Hint: the book I bought at a mystery airport is "how Rome fell" by Adrian Goldsworthy. Good enough to read 60 pages in a flight sitting. A friend of mine shared this cartoon by Rayma. 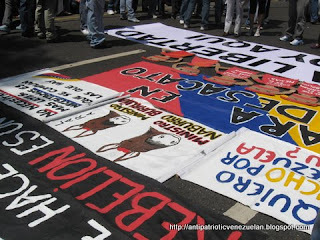 It says "Red Carpet in Venezuela". My friend said that the cartoon is "rude, but real". I agree. It seems that the latest grand tour of Chavez has been upsetting enough even for chavistas that Chavez felt compelled today to come up with some lame explanations. But may as he can justify, the cartoon of Rayma this Sunday is simply not going to go away. Let's recap first. Chavez left Venezuela for two weeks, and came back only to find floods, earthquakes and a state totally inefficient to face the emergency, amen to the routine it cannot deal with, from rampant crime to crumbling health system. But what irritated most were two things: the Madrid luxurious stop and the purchase of all sorts of weapons in Russia, not only unnecessary today, but too costly for the current economic situation and ill fitting for a self appointed prince of peace. The contrast between Chavez words and his real life actions could not have been driven home more clearly than this tragic, and ridicule end of a journey. Truly, this must have been the worst journey of Chavez. first , he only visited rogues. Then while he was away the successful No Mas Chavez took place. While at the same time the opposition mounted a huge protest for his recent policies. He tried to make a stopover in Venice "Mostra" but instead of glamor he collected ridicule as it was obvious that the adoring crowd were shallow gliterati and paid for entourage. In the end Stone proved himself to be and aggressive ignoramus and a budding fascist, not collecting a single award for his trouble. Sensing that things were not going his way Chavez tried in a hurry to organize a stopover in Madrid where he had no urgent business to attend. The objective was of course to meet at least one presentable head of state and today the only European willing to be seen with Chavez is Zapatero, and barely at that, mostly because the Venezuelan debt to Spanish interests is large enough that Zapatero needs to grin as he swallows hard. In the real world it is called blackmail, something that Thuggo understands and practices very well. We will never know what really pushed Chavez to plan that Madrid stopover but he must be truly sorry right now. I suppose that after having been pictured with so many barbarians (did you take a look at Qaddafi recent outfits?) Chavez needed to present a more "intellectual image of himself to the world. So, out of the blue, he decided to stop by one of the major bookstores of downtown Madrid, as a simple tourist and shopper. Apparently he spent almost one hour and left with about 60 books. We only learned that he inquired about the book he gave to Obama in Trinidad, as if he needed to read it again... I mean, what kind of publicity stunt was that? At the end, infuriated passerby suffering the disruption that Chavez large entourage brings everywhere started heckling him as he left the store. 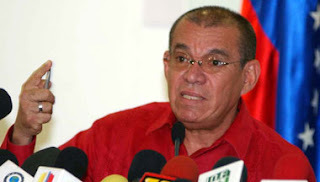 Milagros Socorro commented indignant that Chavez could afford to buy 60 books in a fancy Madrid bookstore while in Venezuela books are not only exceedingly expensive but because of CADIVI shelves are increasingly depleted. 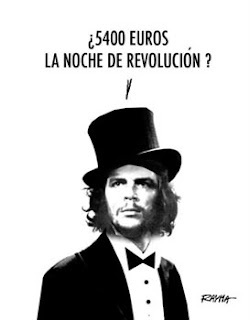 Indeed, if we average at 20 euros the books bought by Chavez, we add up 1200 Euros, which is more than half what a normal Venezuelan is allowed to spend in a year if s/he wishes to travel. Once food and lodging are factored in, intellectuals like Ms. Socorro, or book worms like me, have very little left to spend on half a dozen paper backs at best. "Stone exhibe la banalidad de los rebeldes sin causa". Stone shows the banality of the rebels without a cause. Sounds much better in Spanish. Barrera Tyska observes that no other head of state ever attended a Venice Mostra because their are minding their shop. But this is only an excuse for him to demolish savagely the wasteful ego of Chavez. And more but that is enough of a sample of how Chavez managed to tarnish further his image, something that some were calling impossible. All agree on one thing though: Chavez is really out of touch, out of timing, to do such a trip as things are getting worse by the day in Venezuela. No wonder Chavez had to explain himself today, justifying the expenses. Yes, he is the one who pays to be received by these truants he visited, when they should all be the one paying him for being the lone "elected" head of state to visit them.... Then again he is about to join them in this college of illegitimate heads of state. Esta será la imagen que perdurará de Hugo Chávez, finalmente un pobre tipo a quien el poder no hizo sino poner una lupa en sus rasgos hasta mostrarlo en toda su mediocridad, avidez de dinero, lujos y privilegios; y, todavía peor, en su desprecio a la democracia, los derechos humanos, el respeto al otro. This is the image that will follow Chavez, a nobody that power did nothing but magnify his traits until it exposed him in all his mediocrity, thirst for money, luxuries and privileges; and even worse, his disrespect for democracy, human rights, respect to the other. To leave you in a truly somber mood, there is this picture of Chavez and the strong man of Iran, Khamenei, the one that singlehandedly conducted the electoral fraud to strengthen his terrorist theocracy. Chavez, so far, is the only "elected" leader to visit him. Commenting further would be an insult to our intelligence. Yesterday there was an earthquake of magnitude 6.4 in the Northern part of Venezuela, just a few kilometres offshore on the central coast. There was quite some damage of buildings specially in Falcón and the Northern part of Carabobo and some people were wounded. Fortunately, there seems to be no dead. The chaos was particularly big as it was raining cats and dogs or rather, hail. In general Venezuela goes through quite some earthquakes due to the tectonic activity in the Northern Venezuelan plate margin. The same forces that make those beautiful green mountains rise up just next to the blue Caribbean sea create the geological instability of the region. The earthquakes are not as strong as in other places along the Andes proper or other major tectonic regions, but they still can be powerful and they have had important historical repercutions as in 1541 and 1812. After the big 1967 earthquakeVenezuelan buildings have been generally built using anti-seismic technology (quite remarkable in spite of our chaos), so we have been spared worse catastrophes. The big problem in Venezuela is the construction of slums in mountaineous regions. That and profound governmental irresponsibility caused the thousands of dead in 1999. Here you see the ruins of Nueva Cádiz, on the Cubagua island. This was one of the first Spanish settlements in the Americas and it was abandoned after the 1541 earthquake. UPDATE: For the incredible politics around the earthquake go here to read Miguel's post. Hugo has not only left Spanish officials in love with Venezuela's gas. He has now also put a fat arms order with the Russian Federation. 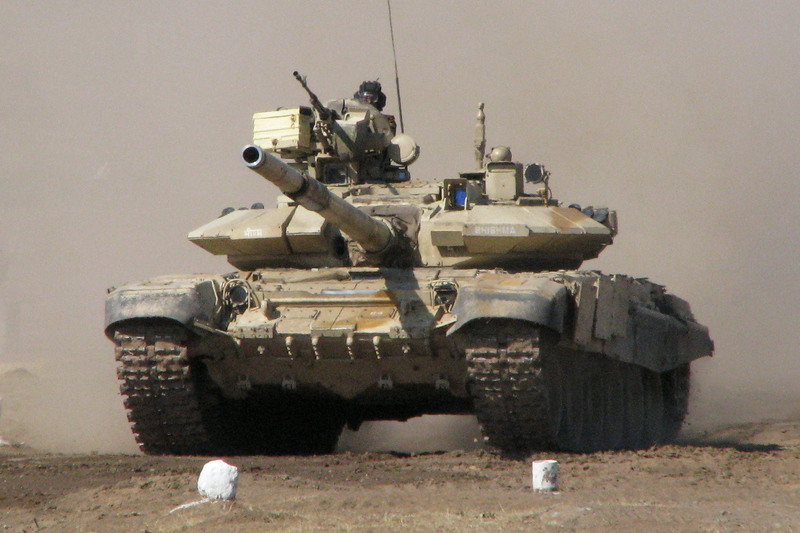 He will get rockets with a 300-kilometre range and a lot of T-72 and T-90 tanks (BBC on this here). Hugo declared his toys are for "defence only" and added "they never fail". In reality: what will those weapons be used for? There is a continuous tension with Colombia particularly because of Hugo's support for the Farc and Colombia's new deal with the USA military, but: could these new weapons be really "useful" in this issue if diplomacy failed and stupidity prevailed? Venezuela's borders are mostly mountains and jungle. Most people think Hugo's purchase of over 100000 Kalashnikovs from Russians some years ago and the Kalashnikov factory set up in Venezuela could indeed be used for an asymmetrical warfare in a hypothetical war with the US or with our cousins next-door. Those tanks and those rockets, on the other hand, seem to make little sense. The rockets would be destroyed in a jiffy if the US or Uribe were to attack Venezuela (which I doubt) and the tanks would be also destroyed or could not get anywhere. In reality these new weapons could be used for one main purpose: making some Boliburgueses a wee bit richer. Are Torres Ciliberto and Arne Chacon now going to buy even more banks? Or will some other revolutionary buy a new factory or just have a fatter bank account? It is a pity. Our state primary and secondary schools are badly equipped. The normal set of books for a schoolgirl costs the equivalent of the minimum wage. Lots of people work in the informal sector earning less than that and most have more than 2 children. We could better use that money in order to provide books for primary schools. In Belgium and Germany, Finland and many other countries in Europe children in primary school get their books from their state schools as a loan. Those pupils get the top results in the international PISA programme of academic evaluation. Venezuelan pupils, unlike other pupils in South America, do not even take part in any international evaluation programme since this government is in power. The regime refuses to accept accountability. Still, based on the last tests Venezuelan pupils took part in in 1998 and on many reports from real teachers, not government officials, we know our pupils are bottom of the bottom. What does the Spanish government do if it needs money? Well, it welcomes Hugo of Venezuela in Spain and it pretends it hasn't heard about what Hugo's regime is doing in Venezuela. It pretends it hasn't heard about a dysfunctional but still democratic presidential system becoming another dictatorship. Shame on Spain. Venezuela harbored hundreds of thousands of Spaniards running away from Franco's dictatorship and poverty. It did not welcome Franco. Now Rodríguez Zapatero and the king of Spain are eager to let themselves be photographed with Hugo I. What kind of business deals are Spanish businessmen securing with this action? Oil alone? Or again, the phone companies? What is it now? Do they know little Andorra next-door just froze the bank accounts of multimillionaire "socialists" from the Hugo's revolution? UPDATE: well, the answer just appeared in El País: Spanish Repsol discovered huge gas reserves in Venezuelan Zulia. So: how could the Spanish king and the Spanish prime minister have some scruples about Hugo? Business is business. Who cares for socialism, human rights or social justice when there is so much money to be earned in Venezuela with Hugo's regime? I am not going to discuss the merits of Abkhazia and South Ossetia separatist movement. However I am going to condemn Chavez for yet another naked intervention into other people business while he does not tolerate even slight comments about him of his cattle ranch that used to be a country. Only grief comes from such cheap posturing as any potential rewards will be cashed by Russia. But in a way I am delighted: when the outlying areas of Chavez cattle ranch that can become an independent state on their own decide to separate, countries like, say, Colombia, will have the perfect excuse to recognize the "new republics". After all in Zulia they do not speak like in Caracas and they do not even worship the same Virgins. Not to mention that they work harder than the Caracas bureaucrats and care deeply for their business and modernity. Another country altogether. I will never cease to be amazed by how far chavismo has reached in hiding its ill acquired riches. The Andorra principality has decided to adapt to the European, and International norms and has suspended partially its banking secrecy. Among the first thugs discovered we find a few people "close" to Chavez. Entourage? Family? Who cares!? what business do they have in Andorra, a tiny country that they probably ignored of its existence ten years ago. I happen to know some people hiding money here and there. Usually they chose Switzerland, or if non US and not too rich, the US of A. Yours truly has retained his tiny account in the US from his days of college teaching credit union. He even opened another small account in France. But in ten years he never made enough money to even look into a fiscal haven, and even less Andorra. Mind you, I know where Andorra is. When I was in college, oh, so many years ago, I used to hang out in the Pyrenees, skiing or hiking and even once shopping at Andorra for the free tax stuff. As a poor student my purchases were very limited, a little bit of turron and a couple of bottles of port wine or something like it. Nothing else was in my budget, even tax free, not even food as we brought our own sandwiches. 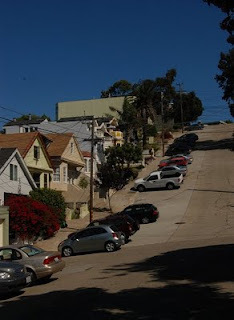 We only spent on drinks and a ride on the tallest cable car of the time. Andorra is pretty but yet not as accessible to Venezuelans as, say, any of the Alpine resorts. For a Chavez "relative/friend/accomplice" going to Andorra is really a deliberate endeavor, not an accident, even through an "agent". And even less if apparently that many of them went there and managed funds of such nature as force Andorra to release names. How did these people manage to make enough money in ten years to have a substantial account in Andorra? If you manage French and Spanish you may want to read the original Catalan from the Andorra paper, it is quite delightful choice of words. By the way, I wonder if Chavez last minute stop in Madrid is related to this event, or if he decided he needed to meet his Andorran banking officer. I am sure he can afford to have the guy fly in from Andorra. I took both pictures - left: the protest in the morning, right: a wedding at night -on the same day: August 22th, 2009. Most readers probably ignore it, but to write this blog is quite hard for me. First, I have been learning how to speak and write English with this blog and it has been a bit like a blind trying to walk throughout an unknowing land. Every time I write a new entry I’m forced to look at the dictionary over and over again looking for that specific word such as “General Prosecutor” or even “Demonstration” that I need to explain you something and then I have to read and re read the entry looking for possible grammar mistakes. Even with all that effort, I always find a kind correction of a commenter of this word or that expression and I have to edit and review the entry all over again. With the difficulties of writing to you in a language that I was never formally taught and that I’m still learning; you have to add the care I put on telling the Revolution from inside without telling you much about my true identity. Believe me, it would be a lot easier to explain you how things really are if I could just tell you all the things I’m afraid to say, including those regarding my identity. It’s also hard to publish inside thoughts about a situation that above all is rather painful for me and for those around me. A few months ago I started writing with little success a blog in Spanish. My purpose on opening that blog (that still remains) was to write about the other side of my life: that funny, normal, ironic, spontaneous side that emerges when politics isn’t my main concern. I wanted to make a light blog that talked mainly about becoming an adult, just because is the stage of life I’m currently living after I finished the university. I thought that writing such a blog and doing it in Spanish would be a lot easier and maybe, a bit more enjoyable. But sometimes conscience makes me feel guilty whenever I simply blog about music, parties or my boyfriend. I always feel that I should be more concerned about any recent disturbing political event. This guilty feeling also arises if for instance, I have been so worried and focused on personal troubles (my lack of a real job, family or friend issues, economic things to solve… you get the picture) that I haven’t seen the news neither I’m disturbed for the “cacerolazo” I’m hearing from my window nor I want to be part of it. Last Saturday I went in the morning to a protest against the new Education law. My mom and I left the protest early, before the troubles began (meaning repression of the protest with tear gas and other sorts of violence, followed by arbitrary detentions) just because we needed to go to the beauty salon in order to be presentable for the wedding of a very close friend of mine that we had at night. While my hair was being cut and straightened and my nails were being painted French style, the TV of the beauty salon showed the repression of the demonstration we had just left so I knew I couldn’t write a post about how adult I feel because I’m now attending to friends’ weddings, people my age, instead of old cousins or something. I knew I was going to find it hard to focus on a post about guilty feminine pleasures such as reading Hello magazine while the hair dresser is trying to make miracles with my impossible curly hair. I knew that writing a post about my growing interest on things like china and kitchen tools as a sign of me inevitable becoming an adult was out of the question. I looked at the results of my well spend money at the beauty salon with a certain guilty feeling. “I shouldn’t be doing this” – I thought. But then I thought it twice and it occurred to me that I should be doing that and more, because after all, that’s the main reason why we are worried about the news and protesting all the time: to earn the right to live a life where our rights are respected and to live the way we want to is allowed. So either way I went to the wedding and had the time of my life. It was hard to believe that just hours earlier I was with my sneakers and my UCAB (my university) baseball cap, taking pictures of protesters and now, I was wearing a beautiful dress and high heels and dancing with my boyfriend one of those good salsa tunes that I never dance well, but I always have a great time trying to. Political events – or this political crisis in particular- have the tendency of diminish our personal lives and concerns. Besides the political struggle we all face in our daily life in one way of another, we have another struggle: the one that goes between our normal life joys and sorrows and those of a political more general origin that are constantly demanding more space in our minds and hearts that the one we are ready to give. And it is between that fight that my personality has developed throughout all this years (lets not forget that Chavez has almost 11 years in power and that most of us have spent at least 8 years of those protesting in one way or another), always in a protest wishing to be somewhere else, whishing that our life concerns were different and always in a party feeling a bit guilty for those opportunity bites of enjoying a different life, because of not being either protesting or concerned at the moment. Lately, I’m convinced that this fight - to fight like this- is everything but healthy. That to let politics simply invade our personal lives makes us more harm than good. To be honest, it doesn’t make any important improvement on the political struggle but rather, it just hurts. This sense of patriotism and commitment to your country, and democracy, and freedom, and civil rights, and reading news more and more and more, and force to you to be concern about everything… it tires me and it hurts. Lately I have taught to myself to not feel guilty if I’m not aware or concerned of my country' situation at every single event of the day. I have learned that to not feel terribly worried or guilty all the time can give me a certain sense of liberation. So that’s why I’m going to turn my Spanish “light” blog into a therapy. I’m going to keep with the hard task of putting politics aside for a moment and remember all the rest of things that are so good about life. Maybe this blog will also allow some “light” posts too if I feel like it. Some might argue that this is an “irresponsible” decision, that my indifference only allows the government to do more harm. But from where I see it is quite the opposite: maybe to not be so overwhelmed about the latest events can bring us more clarity in order to understand and truly face what’s happening. After all, Venezuelans seem to be in one way or another condemned to live a double life, a life that goes between daily struggles, repression, controls, news, fear and other several political difficulties and a life filled with everything else that still and in some magical way, manages to survive: love, parties, meetings, family, friends, gossips, smiles, fashion, movies, music…The only thing that remains is to find a way to not lose ourselves in the place where we always fall: that place located right in the middle of our parallel existences.